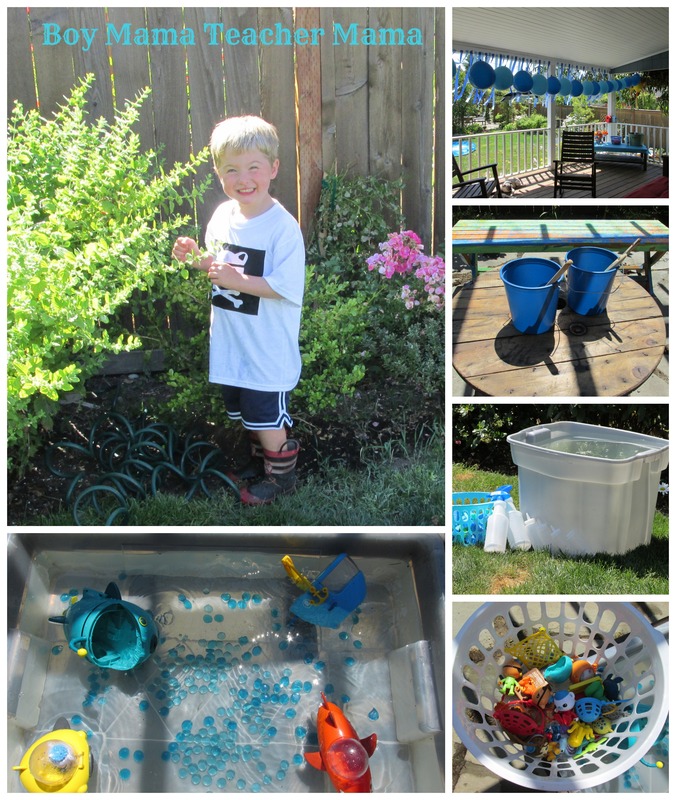 We had many different themes tossed about for this birthday party. 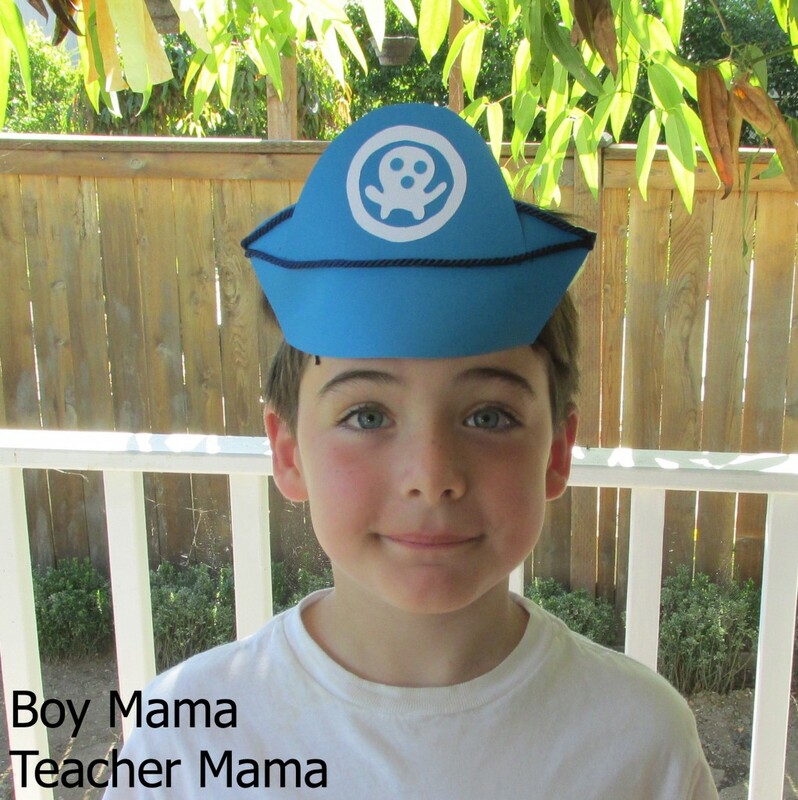 First it was fire fighters, then The Little Einsteins and finally, finally, my son settled on an Octonauts theme. 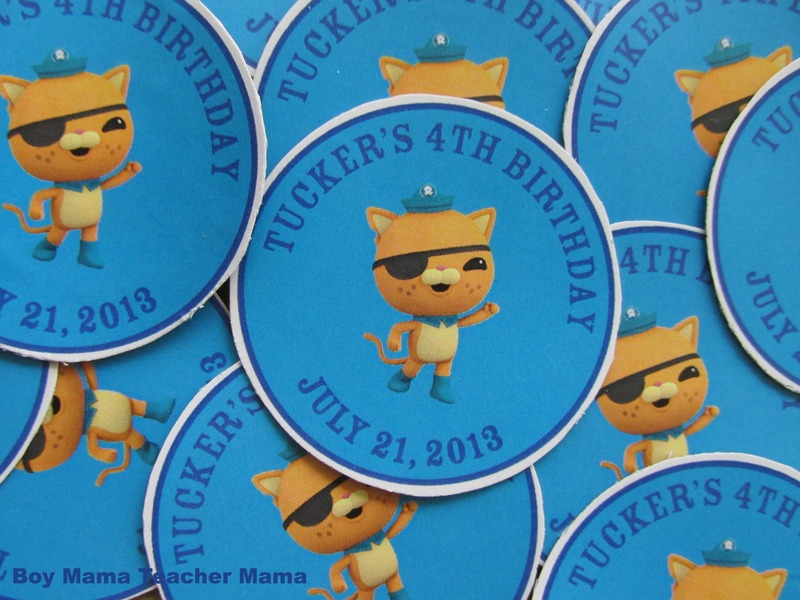 More specifically a Kwazii Kitten Octonauts Party. I have to admit that next to a fire fighter party, an Octonauts party came in a close second for me as the planner. I happen to enjoy the show myself and love all the things my boys have learned from watching the show and reading the books. So here is our party in a nutshell. I have described some things in a bit of detail here and others have their own post. Simply click on the link for more information. I created the invitation using the clip art from Wonders of Disney. The clip art is FREE and high quality. This invite was printed on card stock. The top half is the front and the bottom half is the back of the invite. My son insisted on having Octonaut hats and eye patches for the guest. I was thankful that there were only 8 children attending because the hats were a bit time consuming. Click the link above for more details. The eye patch was made from black foam paper and elastic. I simply cut the foam and hot glued the elastic to the patch. 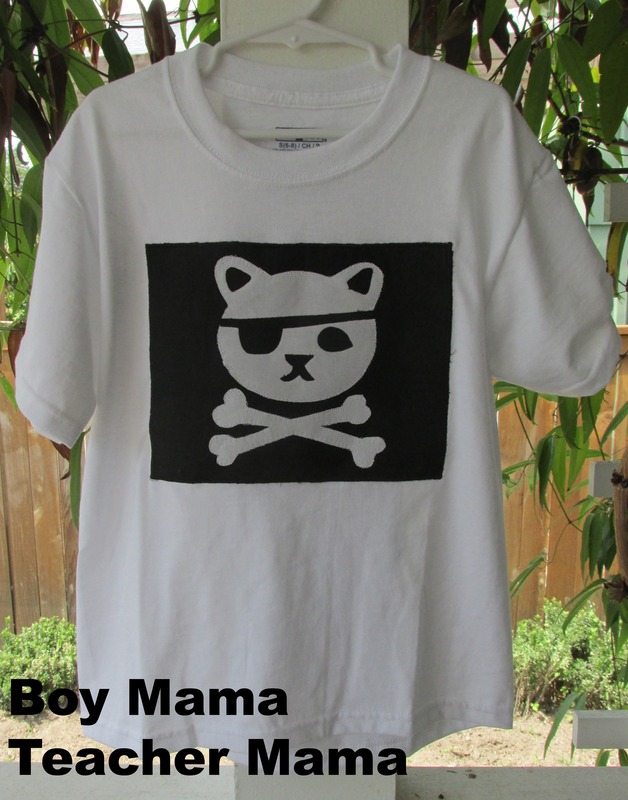 This t-shirt was not at all a necessity for the party, but I had great fun making it and my boys LOVED them. See the link above for more details. I placed the chest full of the goodie bags and some extra gold coins on the food table as a decoration. 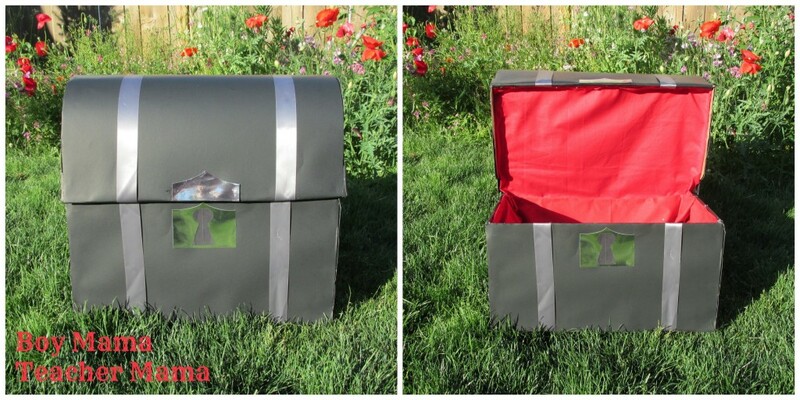 When the time came to pass out the bags, we took the chest outside and my son passed them out. Click the link for directions! Pick out some orange fabrics, trace a fish onto the fabric, sew and fill with rice! 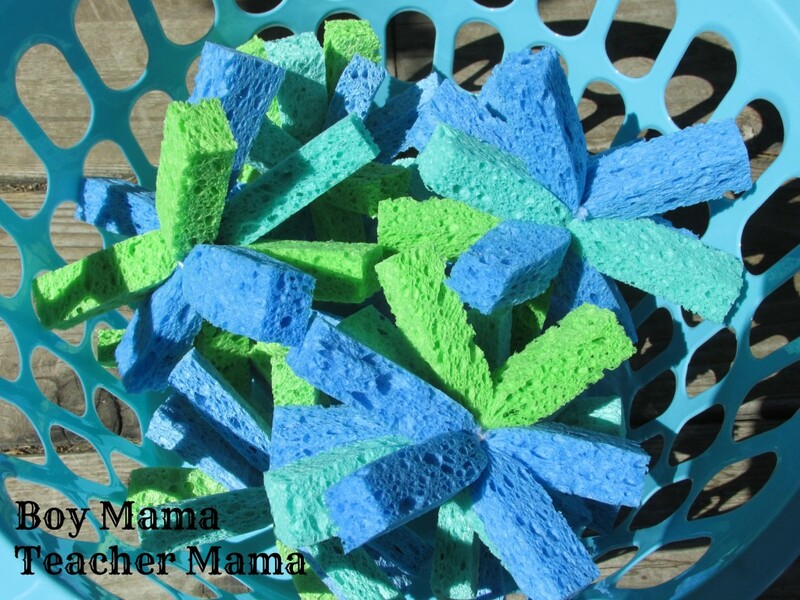 I used my son’s favorite homemade goldfish cracker recipe to create fish biscuits (like the Vegimals make in the show) for the guests. No worries, no fish in these crackers! 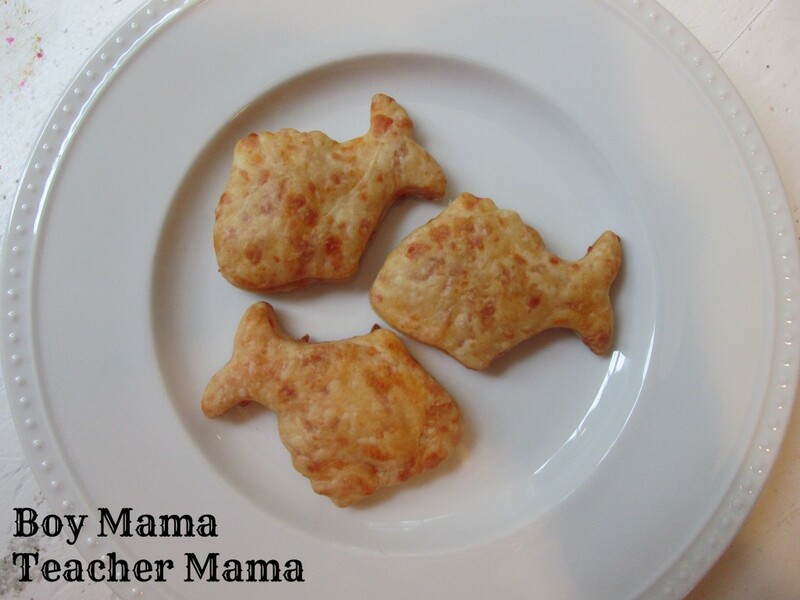 For the recipe, click the link above and use a fish shaped cookie cutter. 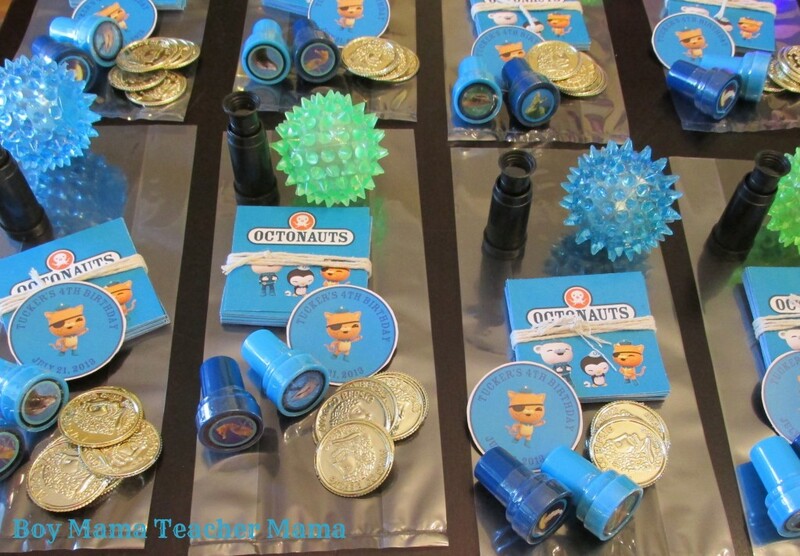 Our goodie bags consisted of telescopes, gold coins and ocean creature stamps from Oriental Trading Company, light up sea urchin balls, as we called them, from Target, a homemade birthday magnet and Octonauts playing cards. 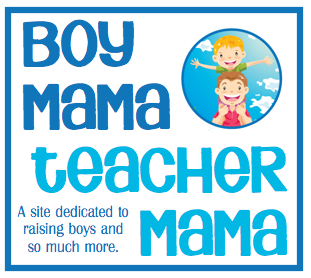 Directions for the magnets are below and you can download the cards simply by clicking the image. I printed the cards on card stock- the image in the middle is the front of the card and the other two images are the backs of the cards. I then cut out a set for each guest and tied them with twine. 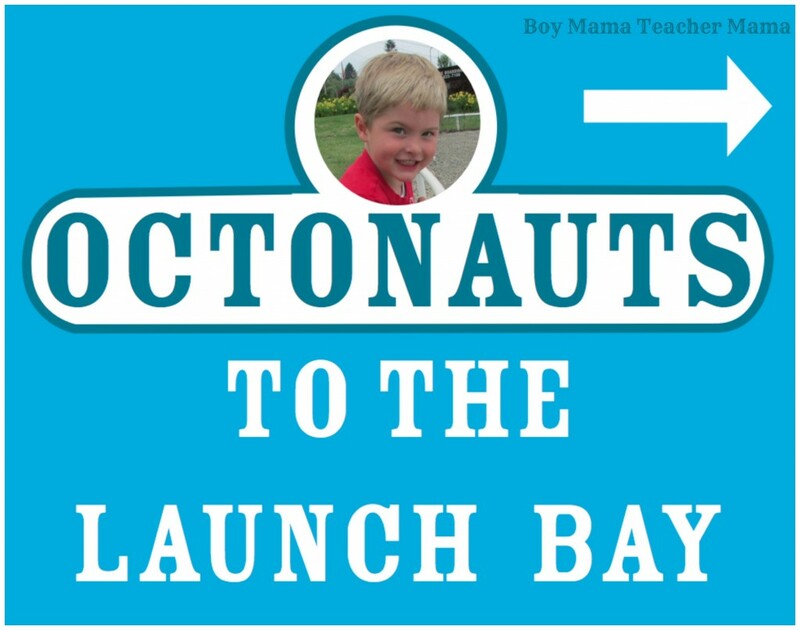 I created these cards on my computer using the Octonauts logo. 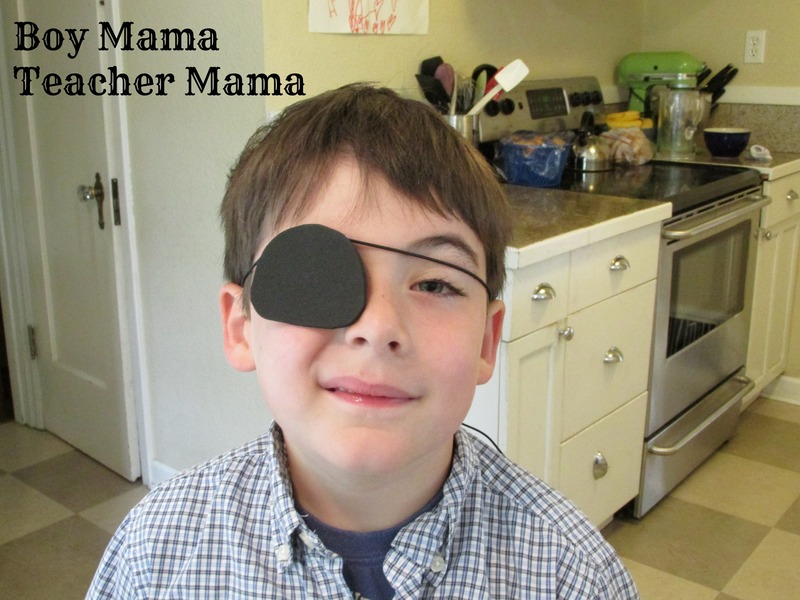 I changed the image to my son’s face and the words from OCTONAUTS to THANK YOU. Is it possible to get the memory card game as a word document? I just want to add an image to that blank square set but my pdf editor won’t let me add an image onto an existing pdf. Thank you for this! Great ideas! I am sorry that I am unable to do that because of licensing issues with the creator of the graphics. Thanks for getting back to me so quickly. I truly appreciate it. It is still a great resource and I will just waste a bit of paper, still worth it. Thank you so much for all these wonderful ideas. Appreciate it. There wouldn’t be any way you could send me a digital copy of that invitation I could edit for my son’s birthday party, could you? I would pay you for it. My son would love that! Any template you’d share with me would be a load off! I can’t seem to find anything anywhere! Please PM me at [email protected]. 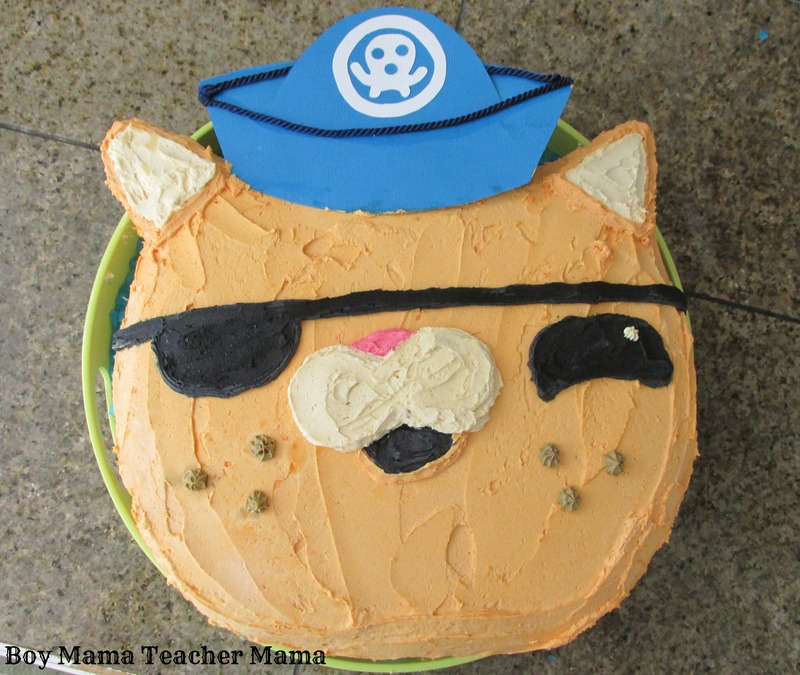 Hi I love all your great octonauts party ideas. 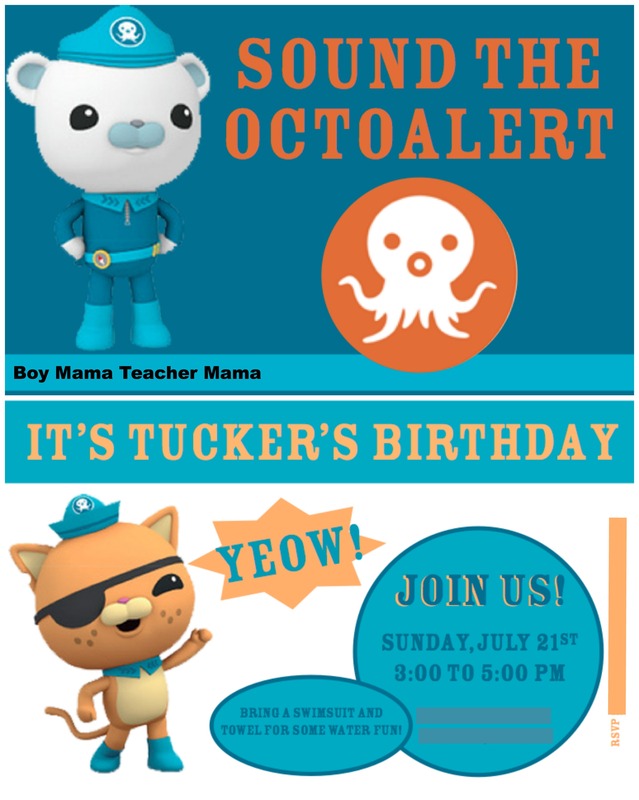 My 4 year old son wants a octonaut party this year and I am having trouble getting invitations that are not from the UK since his birthday is Feb 15. Would you mind sharing your templates with me as well please? 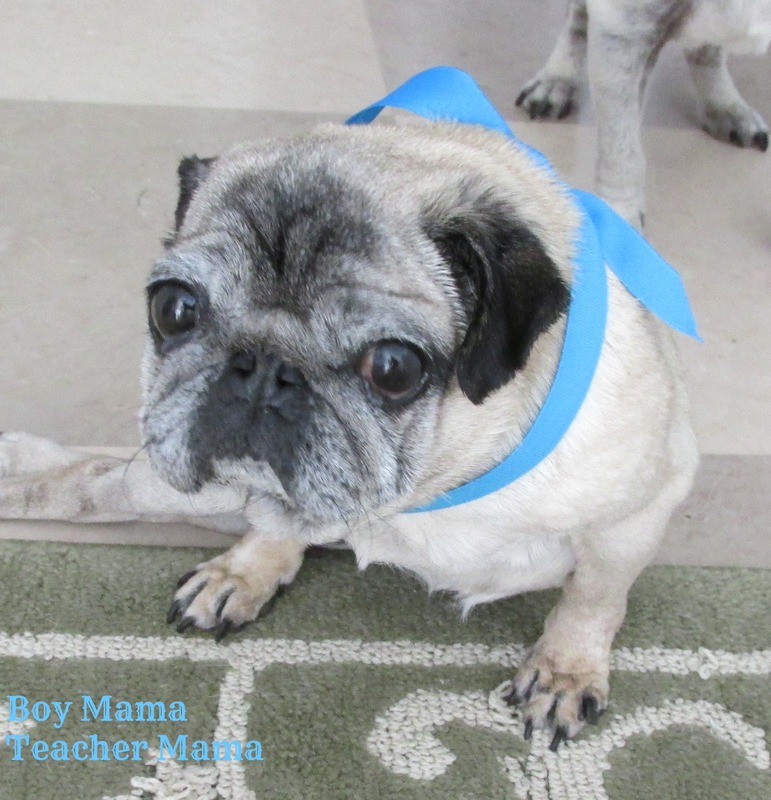 I would so greatly appreciate your help. Hi. 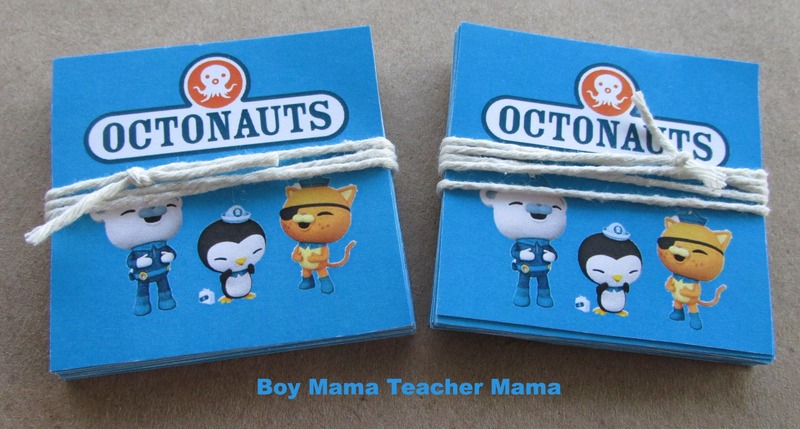 My son is turning 3 and he is crazy about Octonauts. I have been looking around and came across your page…what a great job you have done! Anyway, I’m wondering if you can share your sign’s template or your thank you template? Please PM at [email protected]. I am turning 29 in November and who says you can’t throw yourself a party or celebrate your birthday only wn and enjoy party by yourself. And grown ups are allowed to have fun to. I am determined to throw self a party all day long day after actual birthday it is Sunday and friend will want to take me out to eat. And being disabled I can’t get jib back on topic. I am determined to throw myself a birthday party and some how combine The octonauts and pokémon because I like them both and don’t care what others think. Already have smeargle octonauts figures and going to make some octonauts and pokémon food. Pokémon bowling. Still working on idea for octonauts game and I will let my octonauts figures minus Tunip and Inkling take turn bowling pokémon I bought ping pong balls and going to use ball to bowl pokémon on solid surface. 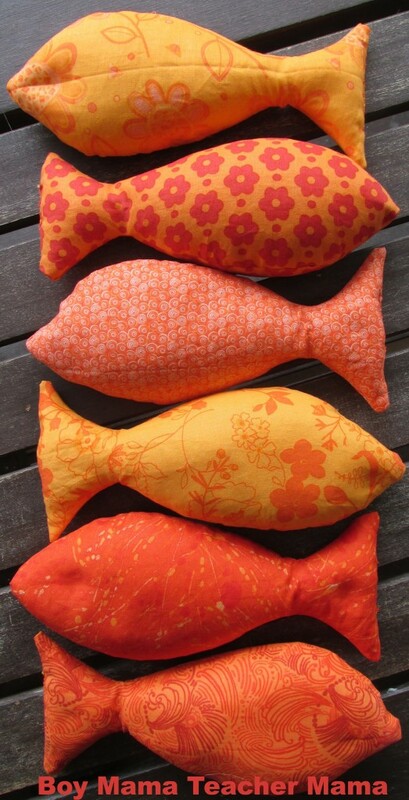 I will make fish biscuits sandwiches and stuff like that. Enjoy Amanda! And Happy Birthday! 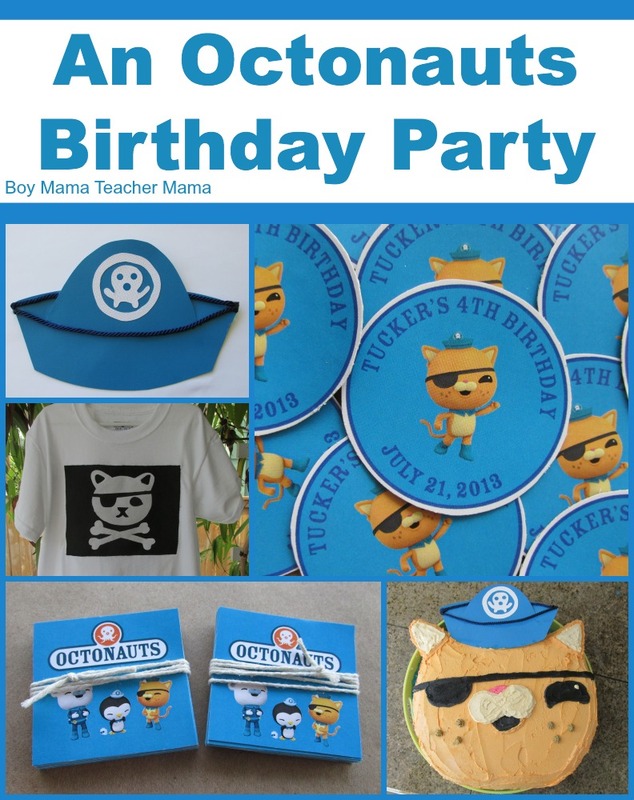 I am planning an Octonauts party for my soon to be 5 year old and I wondered if you might be willing to share your fantastic invitation so that I don’t have to start from scratch? Nicola, Send me an email @[email protected] and we can chat! Happy to help you! Hi Stephanie, Would you mind sharing the template with me as well?!! My three year old boy wants an Octonauts party and it’s been hard finding anything for it. Your blog has really helped! I tried emailing you at the above address but I got back an ‘error’. What a wonderful party!!! Such great ides! The fish bicuits caught my attention. Are they puff pastry with cheese ontop? I clicked the link but sadly it didn’t take me to the recipe. I’m pretty excited we will have an octo-party soon too! Steph- I fixed that link for the biscuits. Sorry about that but glad you brought it to my attention! Enjoy!